Marble patterns are all over right now. It’s not just in home design and fashion – but in all design areas – and that includes craft supplies. 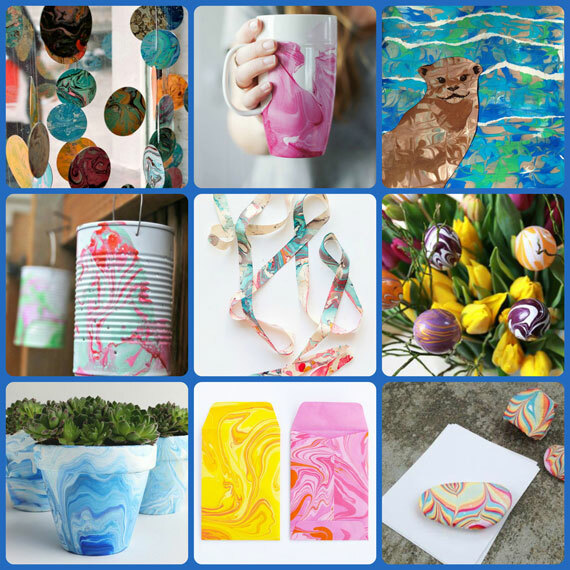 You can buy marble pattern papers, die-cuts and other craft supplies – but you can also make them yourself! Turn your plain papers and craft components into marble bases for all kinds of awesome crafts. It’s super easy with Marbling Kits, but you can also do get similar results with nail polishes and spray paints. Next time you’re faced with a blank slate consider marbling it first. It’ll bring a whole new dimension to your crafts. This entry was posted in Create, Paper Crafts and tagged marbling.